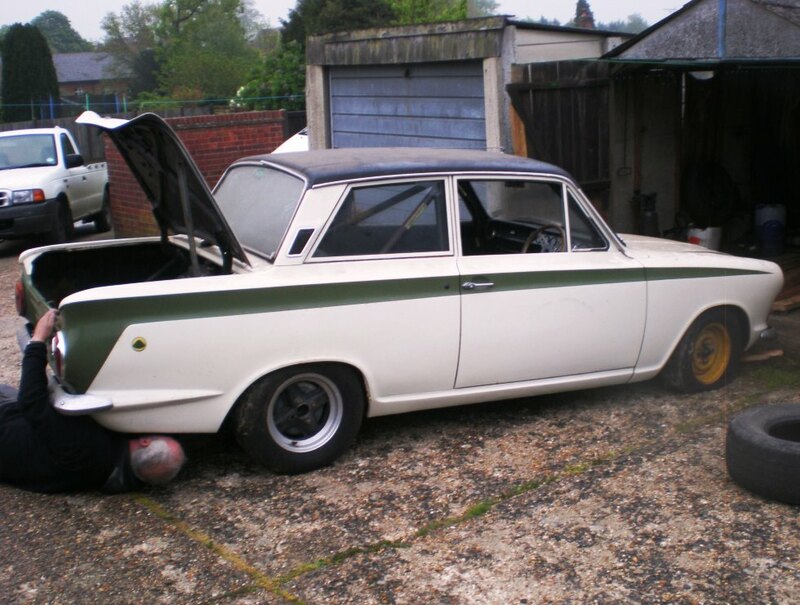 I was offered this car (a Monaco Red Lotus Cortina Mk1) in 1974 for £300 when a workmate of mine went to Australia, and I always wondered where it went – now I know……. After I became interested in Mk 1’s again in 1992, I tried to trace this car & I phoned the workmate in Aus in 2005 to see if he sold it here or took it to Australia when he emigrated. 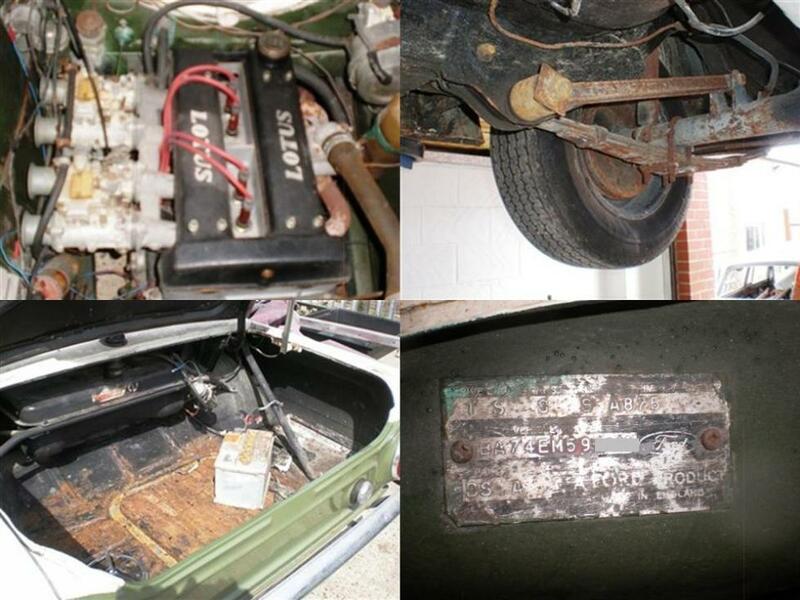 He said he sold it to a a buyer in Essex & as it hadn’t been seen since I guessed it must have been laid up somewhere. Anyway, I was at a Ford Motor Company show in 2010 and a man said to me the usual “I used to have one of these years ago…” & when I asked what the reg was as I may be able to tell him if it was still around, I was surprised to hear that it was the very car I turned down in 1974. I told him the story & he said that the workmate of mine actually bought the car from him as he owned a nearby lockup & they were friends. I kept his contact details & said if I ever came across it I would let him know. The next time I heard about the car was when a friend of mine was working in his shop & a customer came in and saw a photo of his Mk1 Lotus replica on the wall & said – “I’ve got one of those in my barn” – he told him the reg no. & said he could come & see it if he wished. As it was a close reg to the one I was seeking, he mentioned it to me. So we waited for a phone call to view. Two years elapsed & we got a call – on the day we viewed it, I was convinced it was the same car & when we opened the doors, there it as after 38 years – covered in junk & old tyres. We went over the history & it tied in with what I knew so we agreed a price & I left. The car is now in Ermine White with Sherwood flash but if you scratch below the surface you can still see the original Monaco Red – this was the colour of the works cars back in the day. When Keith and Colin Ginn went to have a first look at the car, Keith took his camera. 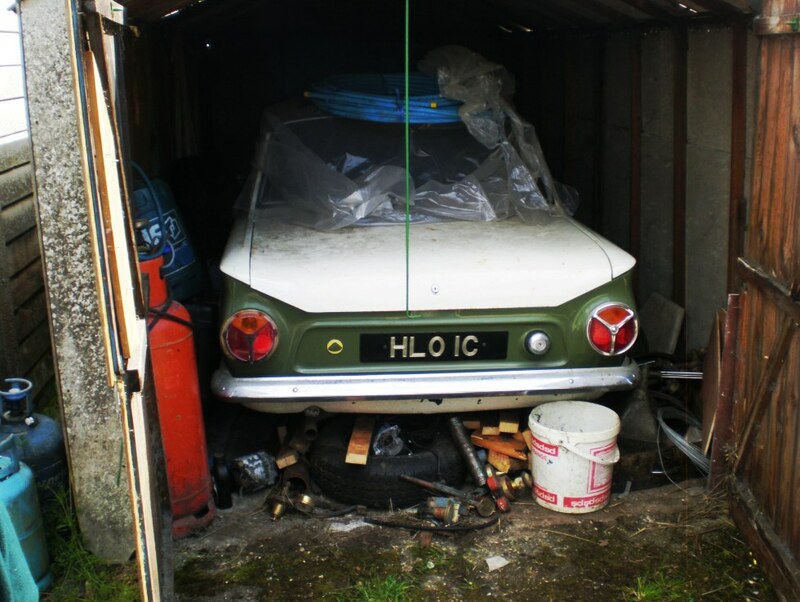 This is what they found, an old Lotus Cortina stored up for many years covered in rubbish…what a dream find. 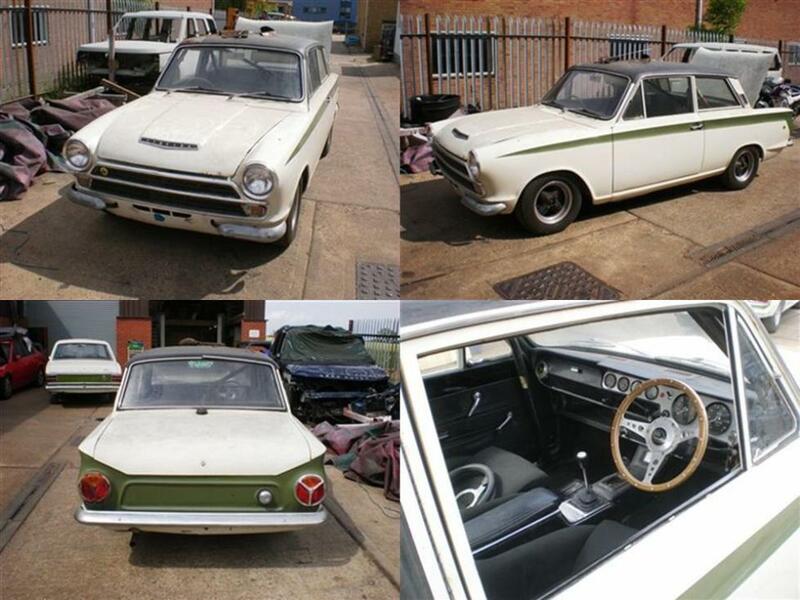 The car had been painted white with a green stripe a long time ago, and finished of with a lovely vinyl roof! 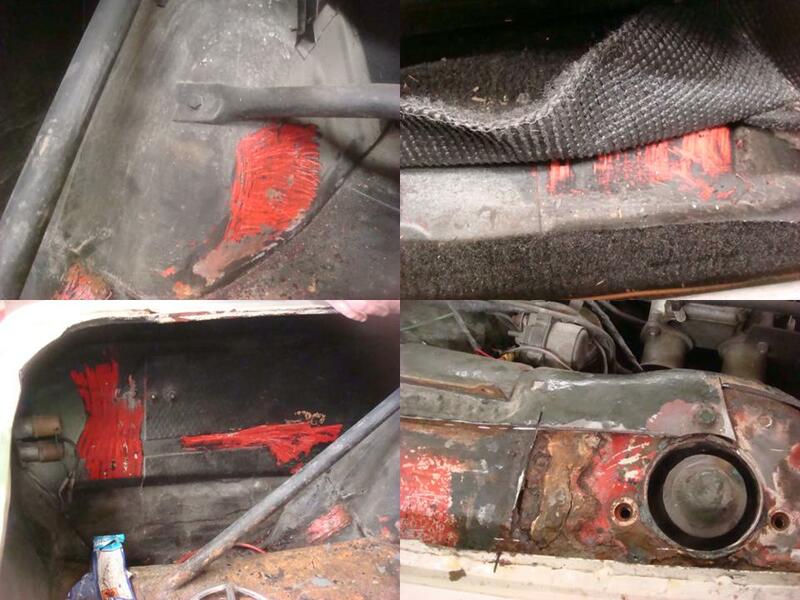 Inside the boot was revealed the works petrol tank. 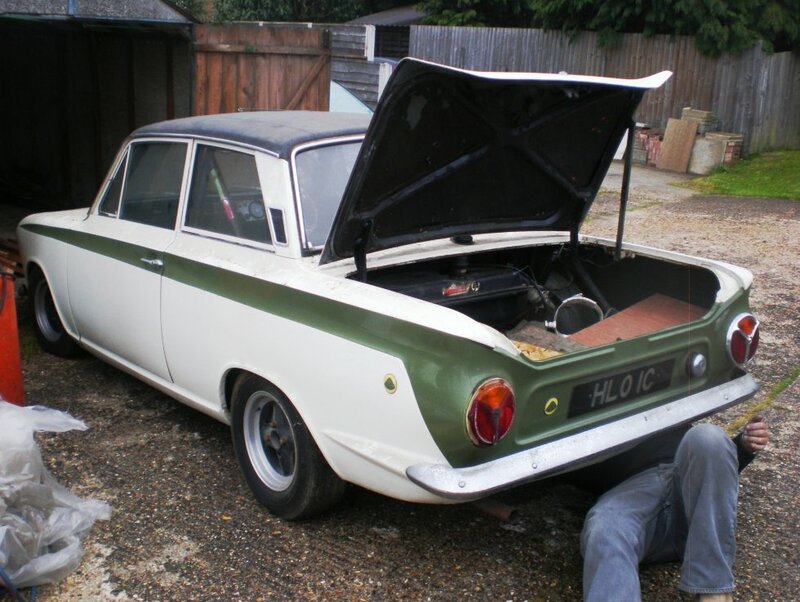 It didn’t take Colin long to see that this was the original Lotus Cortina bodyshell, with all the correct features of an Aeroflow ‘A’ Frame shell. The car had been converted to leafspring at some time, possibly at the factory as was the case for the KPU rally cars, several months before the official launch of the leafspring variant. 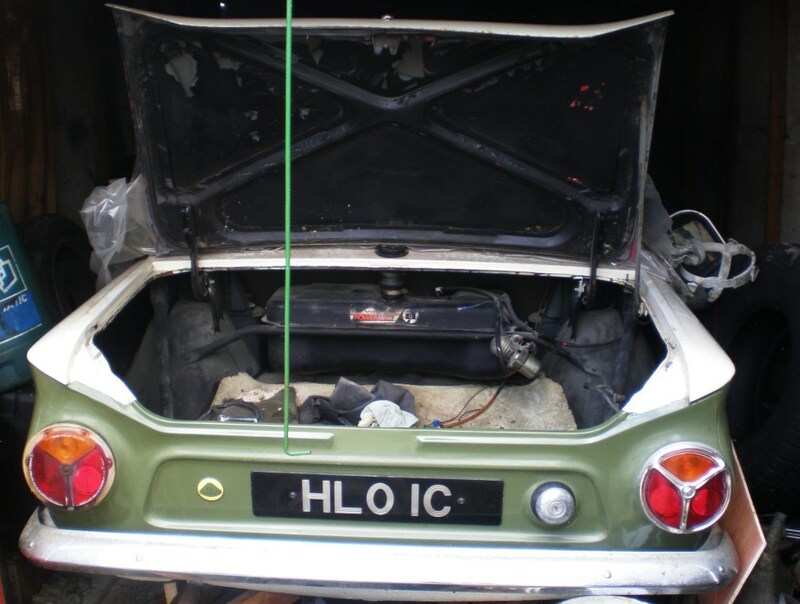 The chassis plate shows all the correct details and number sequence for a genuine Lotus Cortina, and there, for the paint code, is ‘BS’, for Monaco Red. The dispatch book held by Lotus Cars, one of the few remaining documents for Mk1 Lotus Cortinas, shows this car to be Monaco Red as well, proving that this car left the factory as a red Mk1 Lotus Cortina. There was only one thing left to prove, and that was that this shell was the original to this car…..if so, it should be red underneath the white paint…..and of course, it was. Everywhere Colin scrapped it was red underneath, even under the nasty replacement top strut plate, probably done in the 1970s. With 100% proof of originality, Colin got going on restoring the car how it was when it left Cheshunt, and put on the road in 1965.